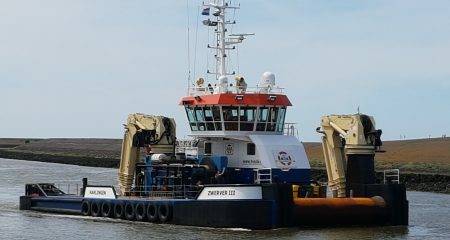 Our Multi Purpose DP-1 support vessel “Zwerver III” was chartered again for Racebank OWF cable lay operations at the E-Coast of U.K.
During May 2017, the vessel was chartered by Jan de Nul NV to tow the cable lay barge DN120 from Belgium to Racebank OWF. 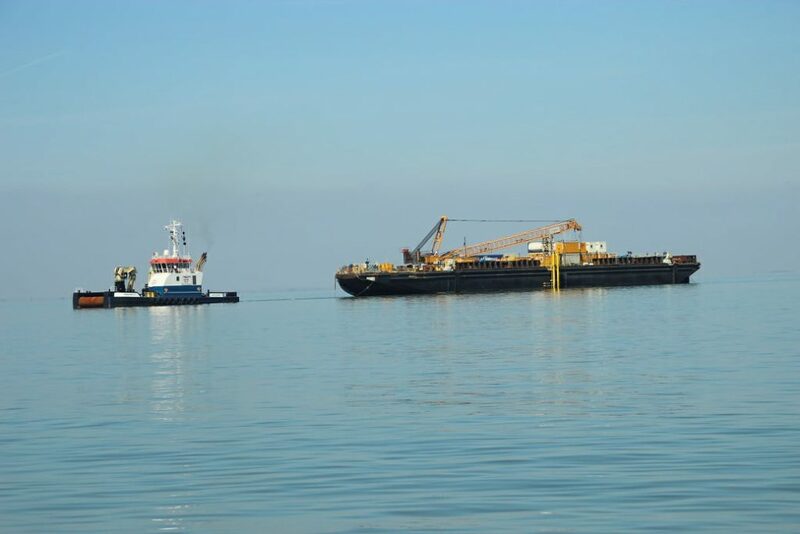 The vessel assisted her with anchor-handling operations and standby duties. 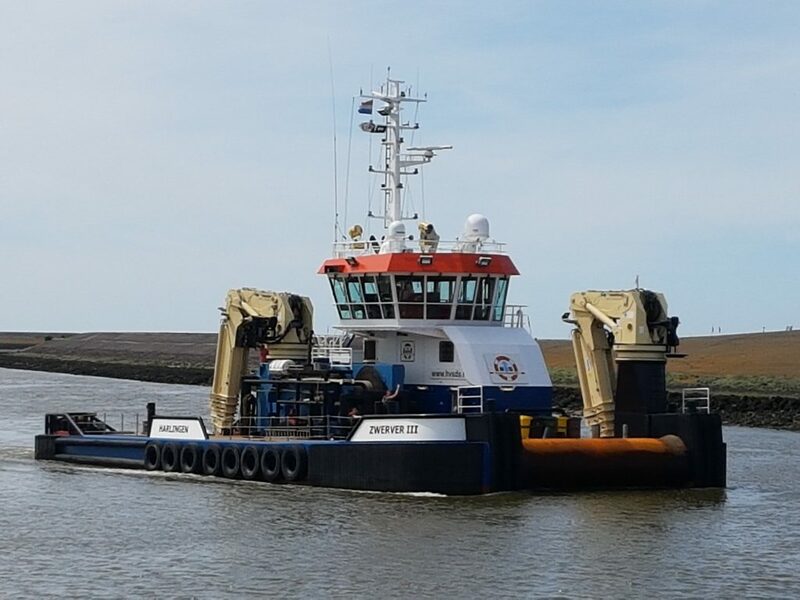 Our Multi Purpose DP-1 support vessel “Zwerver III” installed and removed approximately 25 piles for the mussel industry in Germany, close by the island of Sylt. The operations were carried out during February 2017 and took about 8 days. 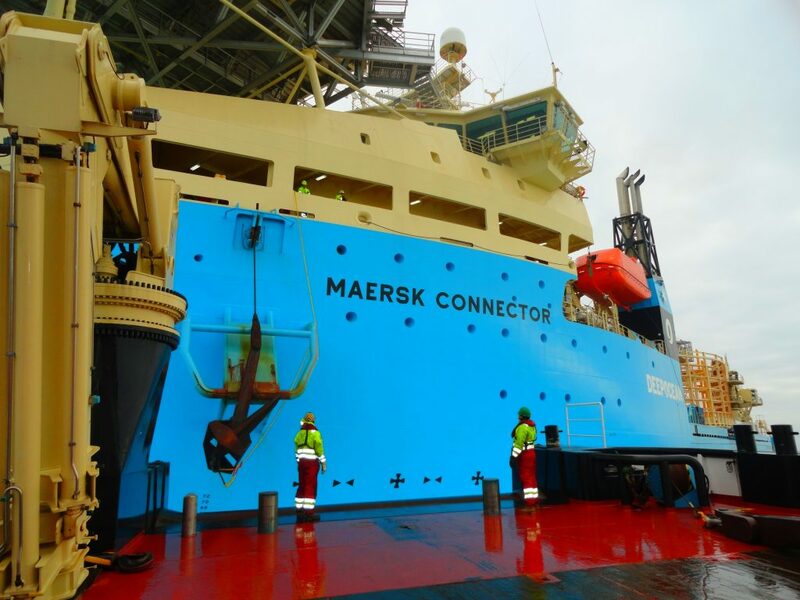 Our Multi Purpose DP-1 support vessel “Zwerver III” recently supported the brand new CLV “Maersk Connector” during anchor handling trials on the North Sea. 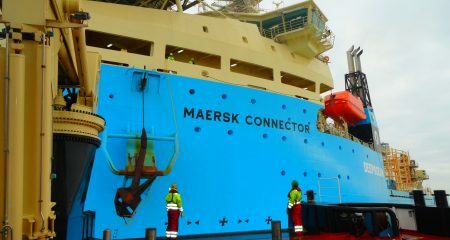 The CLV “Maersk Connector” had to be set on a anchor spread for trials. All operations took about 3 days during February 2017. 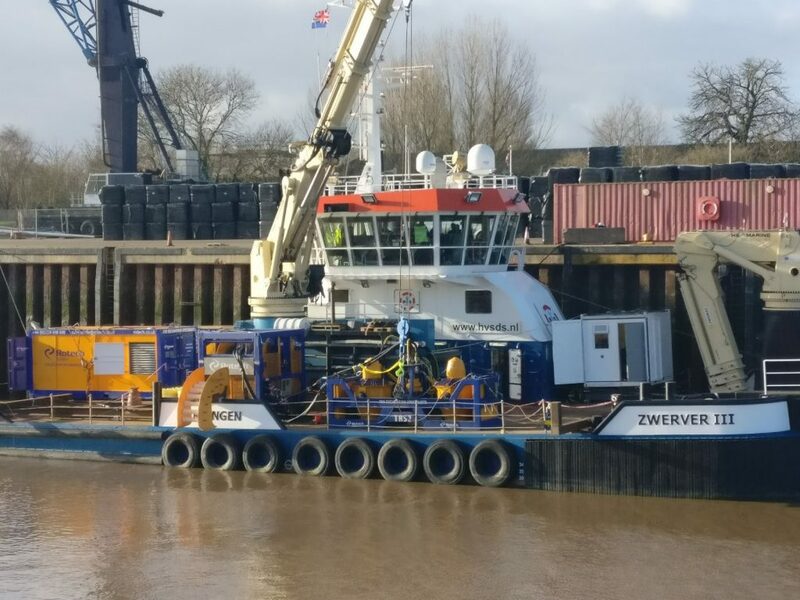 Our Multi Purpose DP-1 support vessel “Zwerver III” is playing multiple rules during the construction of Racebank OWF at the E-Coast of U.K. 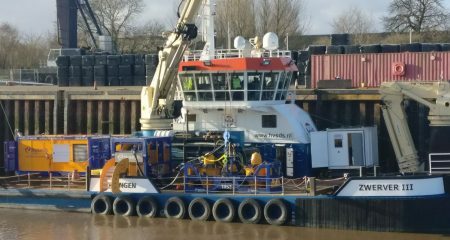 The vessel started on Racebank OWF with the 1st phase of PLGR operations in August 2016, chartered by Offshore Marine Management. This project took about 10 days to finalize. HvS Dredging Support BV We started our services in the 70's. Throughout the years we have established a modern fleet in which we have built our over more than 40 years of experience. With our highly qualified, flexible and experienced crew we meet the needs and requirements of all our clients.